We are excited to be competing in our first BOA Championship of the season this weekend. This is a two-day championship. 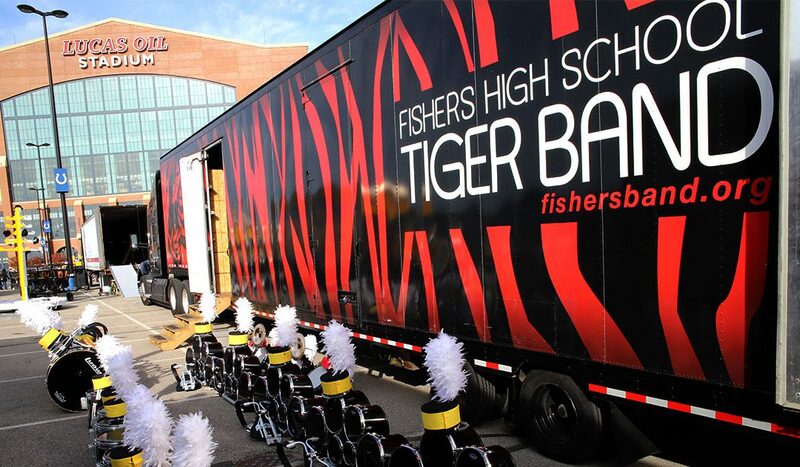 We will start both days at FHS for rehearsal, and then proceed to Lucas Oil Stadium for our performances. This event has a Preliminary Round and a Finals Round of competition. Our preliminary performance is on Friday at 5:15 PM. We will not know our score until the SATURDAY awards program at 3:45 PM. There are over 70 bands that perform during Friday and Saturday Prelims. We will NOT find out if we make finals until about 4:30 PM on Saturday. If we make finals, or performance time for Saturday night will not be confirmed until around 5:30 PM on Saturday. Our finals performance can be between 7:30 and 11:00 PM. Please plan to be flexible and supportive as this weekend moves forward. The format of this competition is not the same as the other competitions. BOA Regionals have two rounds (prelims and finals), and are very exciting for our students to participate. Please plan extra time to get down to Lucas Oil Stadium to watch us perform. Give yourself 90 minutes to park, get a ticket, and find your seat. If you cannot make it to Lucas Oil Stadium, Music for All has a partnership with FloMarching that puts the entire event online with their live stream! Streaming plans start at $12.50/month. SPECTATOR PARKING There is a $10 charge for spectator parking with NO in/out privileges in the South Lot at Lucas Oil Stadium. Additionally, there are many other lots within walking distance of Lucas Oil Stadium (Music for All does not control the price or availability of these lots). Please advise your parents and boosters to arrive early and allow extra time to get to the stadium, especially during peak times. Refer to the Important Event Procedures document for further details. Because Bands of America events are based on mutual support, your choice to watch, and enthusiastically support, the performances of as many bands as possible helps to create a positively life-changing experience for everyone. Each of these discounts is $5 for General Admission Regional (Prelims, Finals, and Day Passes), and Super Regionals (Prelims, Finals only) regular priced tickets; and $3 on General Admission Grand Nationals regular priced tickets. Discounts cannot be combined. All 2018 Ofﬁcial Bands of America and Music for All Merchandise is powered by PepWear! New apparel, including the Commemorative 2018 BOA Championship T-shirts and event souvenirs are available for purchase onsite at the BOA souvenir stand and online at shop.musicforall.org Please tell your students and their families so they can bring home a BOA souvenir! Bands of America Regional Championship Patches are available for purchase this fall online and at every Regional at the BOA souvenir stand. To pre-order 50 or more patches at a discounted price, visit PepWear.com. In addition, BOA recognizes each and every student in the Regional Championship as a participant with a specially designed participant segment intended to complement the Championship patch. Music for All will be posting photos, videos, and updates from each show this fall and we would love for you, your students, and your band’s fans to join the conversation. Encourage your band to follow Music for All and Bands of America on Facebook, Twitter, Instagram, and Snapchat so they don’t miss any of the action. Use #boa2018 all season long and help promote music education in your community.